Many of the wines in our collection are rated, but what does it mean to be rated and who gives these ratings? Let’s look at the three organizations that have rated our wines and talk a bit about what those ratings mean. You may view the rated and award winning wines in our collection here. Robert Parker: Wine Advocate | The Wine Advocate is a publication started by Robert Parker, it currently has “over 50,000 subscribers in every state in the United States and in over 37 foreign countries.” Their rating system employs a 50-100 point quality scale (Parker Points®) and the numerical ratings are utilized only to enhance and complement the thorough tasting notes, which are the primary means of communicating judgments. Read more about Robert Parker, his team of wine reviewers and the rating system on his website. Wine Spectator | “Wine Spectator editors review more than 15,000 wines each year in blind tastings.” They use blind tastings because they “believe that evaluating wines blind ensures that our tasters remain impartial and that our reviews are unbiased, with all wines presented on a level playing field.” Their rating system, similar to the Wine Advocate system, also uses a 50-100 point scale. 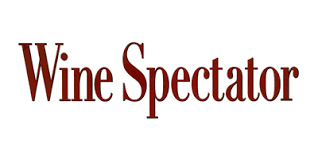 Read more about Wine Spectator, their taster profiles and their rating system on their website. Wine Enthusiast | All tastings are performed blind. Reviewers may know general information about a flight to provide context—vintage, variety or appellation—but never the producer or retail price of any given selection. Their rating systems uses an 80-100 point scale and wines rated as below 80 are not included. 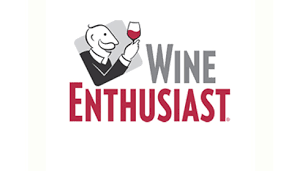 Read more about Wine Enthusiast and their rating system on their website.